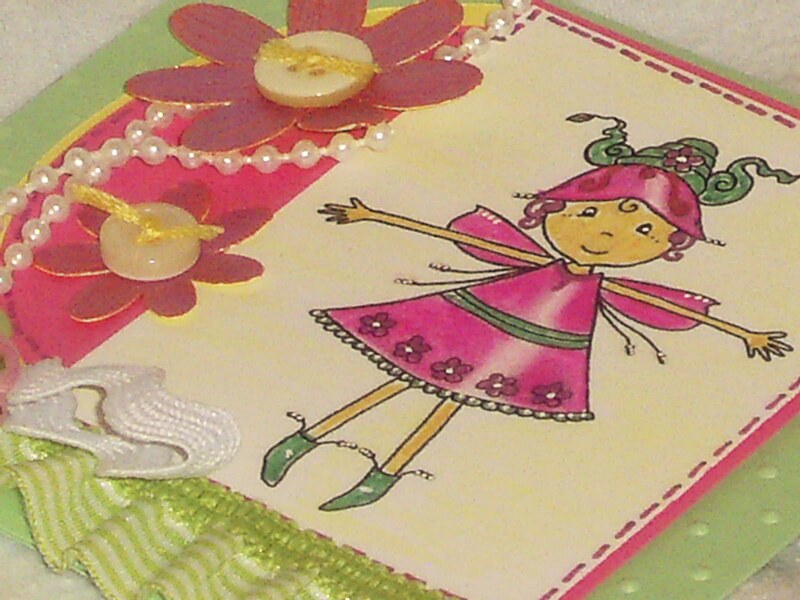 Inky Dream: Any Time Cards. My camera started going wonkers while I was taking these pics! It was turning itself off and flashing funny lights. I'm not complaining, I'm looking for an excuse to buy a new camera! I'd love it if this one finally gave up the ghost! 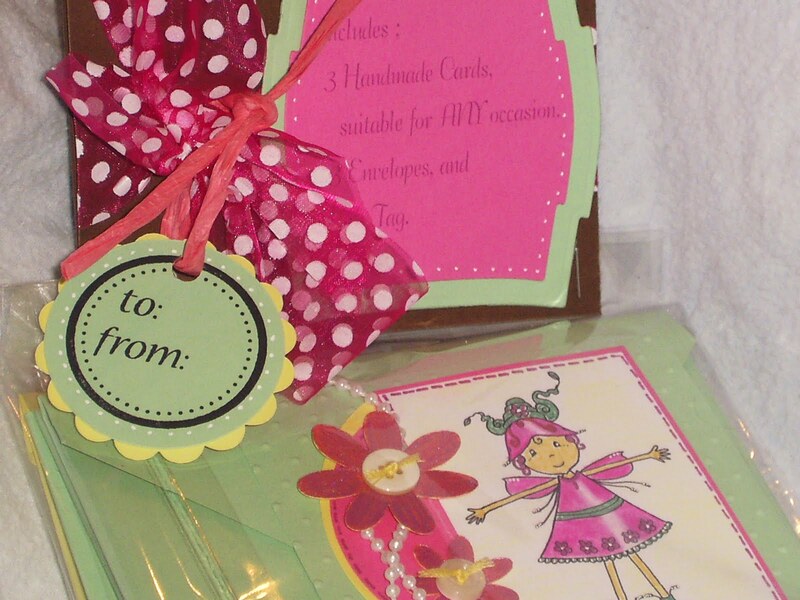 This is a 3 card set I put together. 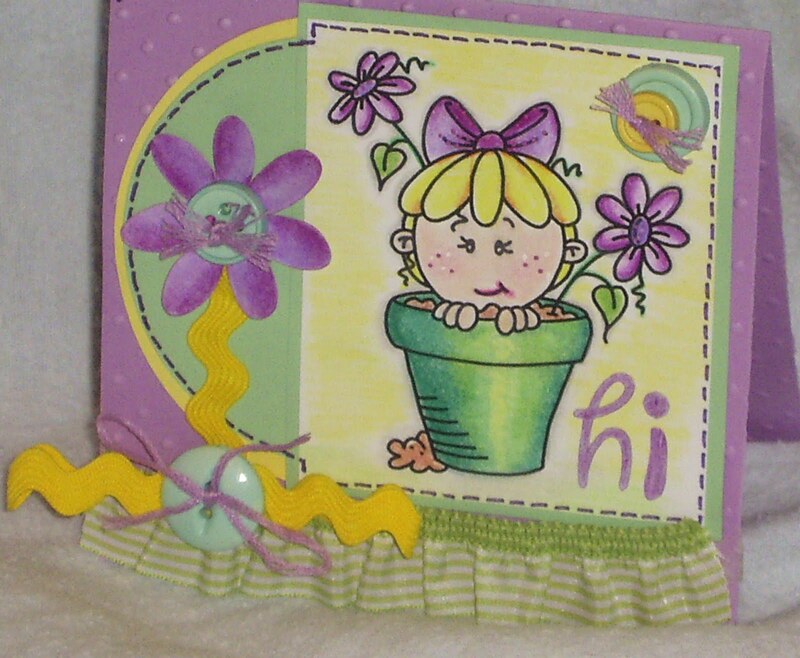 Crafts 4 Eternity has a sketch, using pastel colours, and make it a HELLO card. 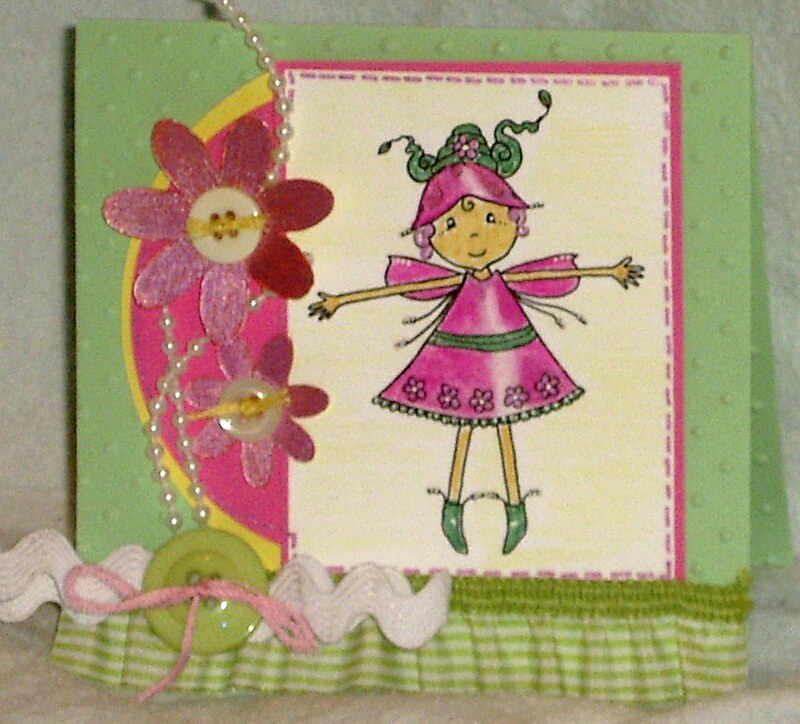 Stamptacular Sunday askes for buttons and bows. 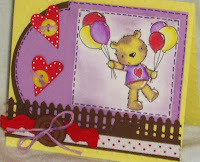 Lovely colourful cards - I have those 3 images too. I must have a play woth them again! 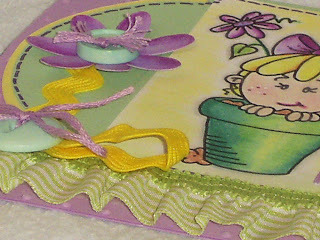 Farrah these are totally adorable, love the gorgeous embellies and ribbon etc and the beautiful little images. Thanks for sharing at C4E this week. Don't forget to check out our Design Team Call!! OMG goodness, too cute! 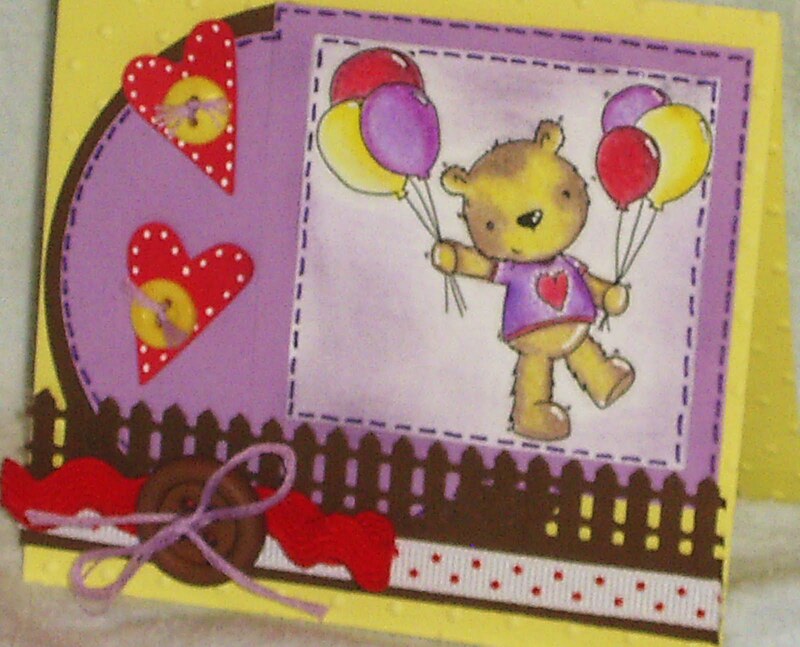 Lovely card set & fab colouring! Thanks for joining us at SSC this week. Lovely! All three cards are wonderful. O just too cute!! Loving the fairies!! Fabulous job on all of your cards! 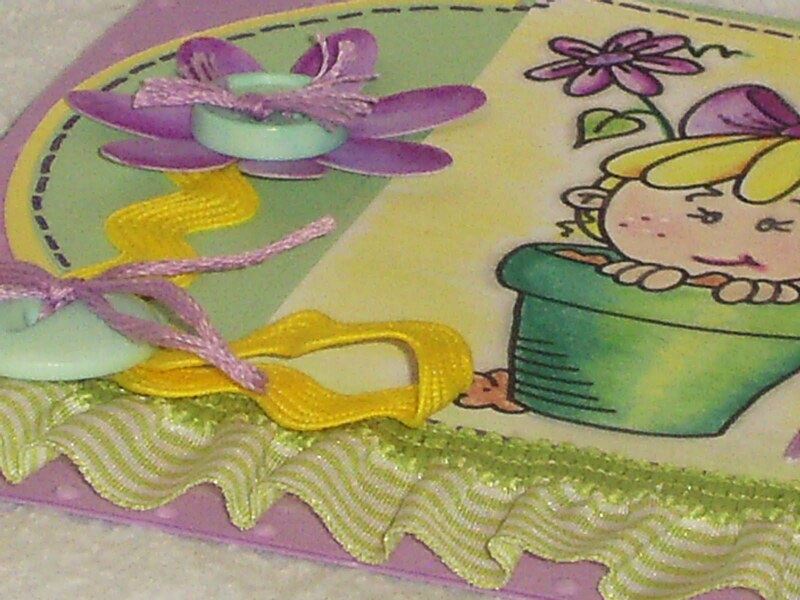 thanks for joining in with us for our buttons and bows challenge over at SSC. 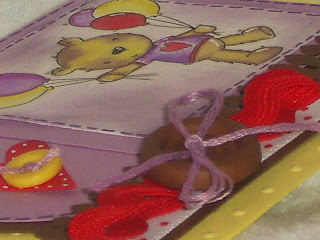 You might be interested to read the post I've just put on my blog! 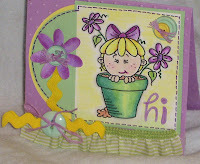 Farrah, I love these anytime cards. Very handy for keeping a stash of these for any occasion. I love all the embillshments and ribbons. 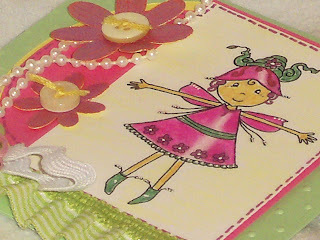 Lovely and bright cards too.